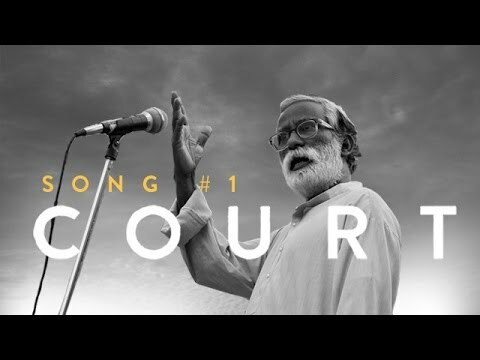 Review Summary: This national award winning is a true to life drama, Court deserves to be seen! Apart from exposure to cinematic brilliance, the film provides a wider and better understanding of the Indian Judicial System. Passing the judgment completely in favour of art house afficandos and critics. Chaitanya Tamhane’s debut multilingual ‘Court’ is an outstanding piece of art. 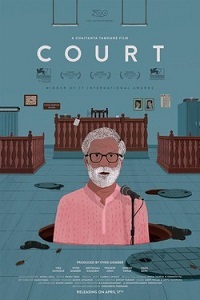 Chaitanya has created a realistic, arty and observed take on ‘Court’ and its people.. where the title plays the protagonist in an atmospheric metaphoric ground.. A truly deserved National award winner of the year as the best films.. ‘Court’ stands in the league of ‘Salam Bombay’, in its atmosphere, ‘Chakra’ in its realism ,and ‘Mohan Joshi Hazir Ho’ in its tease and niggle. She writes on health and law. I came out of the theatre with a lot more than that. That's quite obviously a judgment in its favour. That's the beauty of this film; it does not preach or try to influence you in any way. COURT is a fictionalized account of hard-hitting facts! Go for this rare gem, strongly recommended! The Indian Judiciary system and its ambiguous laws get a new meaning in this film.